The study of haemostasis and thrombosis has become one of the most rapidly growing fields in medical research. An unprecedented amount of research is currently focused on the study of the regulatory mechanisms involved in blood clot formation, subsequent lysis, and potential pharmacological intervention of these processes. 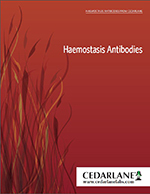 Cedarlane offers a complete line of antibodies to haemostasis related antigens. The high quality and purity of these antibodies make them valuable tools for applications including ELISA, immunohistochemistry, immunoblotting (Western blot) and immunoprecipitation techniques (including immunodiffusion and rocket immunoelectrophoresis). Cedarlane offers an expanding range of new monoclonal antibodies to various haemostasis related antigens, providing customers a more comprehensive array of tools for the study of haemostasis and thrombosis. These antibodies have been tested for suitability for use in Western Blotting and ELISA. General recommendations only and many not apply to all products listed. 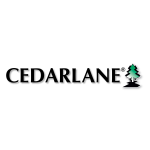 For more information, please contact tech@cedarlanelabs.com or your local distributor.